Looking for a job in Cape May County New Jersey? The following is a directory of Cape May County New Jersey top employers with direct links to the jobs they offer. This directory includes local city job links as well as the larger job posting boards. 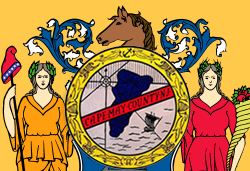 Cape May County's primary municipalities include Cape May, Ocean City, and Lower Township located at the southernmost region of the New Jersey peninsula. Other prominent county municipalities, hospitals, and schools are provided below. Cape May County New Jersey often has a number of job openings available. On this review date open positions found had included Certified Nursing Assistant CNA, Construction Inspector, Human Service Specialist, HVAC Mechanic, Institutional Attendants, Licensed Practical Nurse LPN, Registered Environmental Health Specialist, Registered Nurse RN, Wellness Intern, Motor Vehicle Operator, Housekeeper, Laborer, and Seasonal Animal Keeper. Check for the latest listings. The City of Cape May advertises full-time, part-time and seasonal opportunities when vacancies exist. Lower Township periodically hires for various positions. During this review there had been openings for the position of Police Officer. Middle Township posts employment listings and provides law enforcement career information. Monitor Upper Township employment notices for current vacancies. Ocean City posts all seasonal, part/full-time job opportunities as they become available. Dennis Township had employment listings on their Public Notices page. Positions found had included Help Wanted - Part-time Recreation Attendant and Recreation Center Volunteers Wanted. In the off season Wildwood is just like any small town in New Jersey. Seasonally there are opportunities posted on their admin page. Chamber of Commerce of Greater Cape May is a great resource to use for exploring area businesses, economic climate, workforce information, cost of living, and more. DRBA posts jobs for Cape May Airport and the ports. Jobs found have included Assistant Port Engineer, Lead Mechanic, Maintenance Journeyman, Casual Night Vessel Operator (Marine), Casual Food Warehouse Worker, Casual Line Cook, Casual Porter, Casual Security Officer - Cape May Lewes Ferry, Seasonal/Casual Supply Warehouse Clerk, Casual Able Bodied (AB) Seaman, Casual Customer Service Representative, Casual Money Room Clerk, Casual Bartender, and more. ACME operates 179 stores and employs more than 20,000 associates in 6 states. Locations include several locations in Cape May. Cape Resorts manages six distinctive hotel properties and offers a variety of ongoing employment opportunities throughout the year. Cape May County Park & Zoo hires seasonal animal keepers and other staff. Cape Regional Medical Center often has a high volume of employment listings. During review jobs available had included Receptionist - Clerk Expeditor, Nutrition Aide, Equipment Control Technician, Nutrition Aide, Certified SPD Technician, PRN Nurse RN, Staff RN, Registered Nurse Full Time, Cook, Unit Clerk - Nurse Assistant, Receptionist Job, Per diem Nursing Jobs, Registered Nurse Day Surg, Registered Nurse PCU, Assistant Teacher, Caregiver, Emergency Room Registered Nurse Per Diem, Medical Technologist, Executive Secretary, Labor & Delivery Registered Nurse, Unit Clerk Nurse Assistant, Security Officer, MRI Tech, Registered Nurse Per Diem Nights, Respiratory Therapist, CRTT & RRT PRN, Coding Abstract Analyst, and RN Float. Crest Haven Nursing and Rehabilitation Center provides a broad scope of care that ranges from long-term to rehabilitative services. Cape May County Government manages the facility and jobs are posted on the county job board. Open positions may include Certified Nursing Assistant CNA, Licensed Practical Nurse LPN, and Registered Nurse RN. Cape Regional Urgent Care is staffed with board certified physicians and periodically hires for a variety of support staff. Brookdale Cape May is a senior living community that offers personalized Assisted Living and Alzheimer's and Dementia Care. North Cape Center is an integral part of the Cape May County community. Victoria Manor is another facility that had open positions. These centers provide ShortStay Rehabilitation Services and LongTerm Care. Openings found have included Registered Nurse RN, Licensed Practical Nurse, Certified Nursing Assistant CNA, Cook, Driver, Senior Therapist PT, RN Supervisor, Physical Therpist, Center Human Resources Manager, Receptionist, and Housekeeping Aide. Cape May City Elementary School District was hiring Substitute Custodians, Substitute Teachers, Substitute School Nurses. Cape May County Special Services School District had employment listings such as Food Service Substitute part time on as needed basis, Substitute Custodians, Direct Service Providers: Speech Therapists, Occupational Therapists, and Physical Therapists. Interpreters: American Sign Language Interpreters and Spanish Interpreters. Child Study Team: BCBA, LDTC, and Psychologist. Swim Instructors and Lifeguards. One to One Aides and Substitute Teachers. Cape May County Technical School District had job openings for Post Secondary Practical Nurse Instructor, High School English Teacher, High School Psychologist, Substitute Bus Driver, High School Substitute Special Education Teacher, Part Time Teacher of ABE/HSE/ESL and ESL Civics, Assistant Coach - Softball, Assistant Coach - Baseball, Substitute Practical Nursing Instructor, and Substitute Custodian Position. Lower Cape May Regional School District was advertising job openings for Substitute Bus Aides, Middle School Long-Term Substitute Teacher of Special Education - Highly Qualified in Math, Head Coach Varsity Girls Lacrosse, Girls Basketball Coach, Substitute Special Education Teacher, Substitute Food Service Worker, Full-time Custodian, Substitute Bus Drivers, and Substitute Teachers. Middle Township Public Schools had employment opportunities for Long Term Substitute Teaching Position, Maintenance job, School Psychologist, and volunteer positions. Check for current listings. Ocean City School District had open positions for Sporting Event Workers, On-Call Bus Drivers, Short Term Replacement HS Family and Consumer Science Teacher, Short-Term Leave Replacement Teacher of Social Studies, Substitute School Nurses, and more. Upper Township School District periodically hires. Some positions found had included Special Education Replacement Aide and School Secretary. West Cape May School District had job openings for Classroom Instructional Aide and Substitute Teacher. Check for updates. Woodbine School District was hiring Substitute Teachers Pre-K to 8th Grade and Substitute Nurses. New Jersey State Department of Education recently had open positions posted in Cape May County. Check for updates. Atlantic Cape Community College periodically hires faculty and support staff. Atlantic Cape, a bi-county community college, offers students the opportunity for an affordable, high quality education close to home. The Cape May Police Department is an organization that is regulated by the New Jersey Department of Civil Service. Visit their employment page for open position announcements and requirments for Police Officer, Seasonal Law Enforcement Officer, Public Safety Telecommunicator, and Relief Public Safety Telecommunicator Jobs. OnRamp for Job Seekers has nearly 10,000 registered New Jersey employers that frequently post job opportunities. On their page click on the right-side link "Search for Jobs Without Signing In" to view current listings. Opportunities found in Cape May included Home Health Therapy Manager, OT Occupational Therapist, Security Specialist, ACME Clerk, Delivery Driver, Grocery Clerk, Teller, Store Associate, Customer Service Representative, Home Health Registered Nurse RN, Speech & Language Pathologist, Civil Engineer, Housekeeper, Cashier, and more. Make sure you are dealing with reputable companies before applying. The Cape May Craigslist had open positions available for Part Time Merchandiser, In Home Therapists Licensed MA Degree, Restaurant & Inn Jobs, Crew Chief, Service Technician, Handyman, General Laborer, Photographer, Optometrist Job, Insurance Inspector, Assistant Reconstruction Project Manager, Nurse Practitioner, Physician Assistant, Service Technician, Residential Carpenter, Secretary, Bookkeeper, Marketer, New Construction Plumber, Account Manager, Property Inspector, Teller, House Cleaner, Painter, CHHA Cape May Courthouse, and Rolloff Drivers Wanted (Cape May County, NJ). Open competitive job announcements for the public to compete for existing and future job vacancies in the State of New Jersey, County or Municipal government jobs.